Have you ever thought to yourself, "Boy, we sure could use some more horror movies to watch on Easter!" Well, those untold millions who have pondered just such a thought are in luck, as Rottentail is coming to save the day later this month. This movie has actually been in the works for some time and, believe it or not, is actually based on a graphic novel of the same name, as published by Source Point Press. Now, it's finally ready to be released on DVD and Blu-ray, with select screenings happening throughout the country as well. A trailer for the movie has made its way online and it's truly something. Top to bottom, in perhaps the best of ways, this movie looks absolutely, delightfully silly. We have a secret government project that is engineering killer rabbits for some reason, tacky practical puppet effects, very old cell phones, a rabbit man and buckets of blood. What's not to love? Sure, this one probably isn't going to wind up as an Easter Sunday ritual for many families, but horror fans out there could use an interesting way to spend the holiday and this very well could be it. Also, the poster (which we've included below) has a really spectacular tagline. Brian Skiba (Blood Moon Rising, Anatomy of Deception) is in the director's chair for this one. David C. Hayes (Machined, Bloody Bloody Bible Camp), writer of the original graphic novel, is penning the screenplay. Corin Nemec, who has appeared in shows such as Supernatural, Smallville and CSI: Miami, is on board as the titular monster who, powers that be willing, is destined to become an icon of holiday-themed horror. "The Rottentail graphic novel is a favorite amongst our readers. At its core it's a monster film, filled with gore, heart, insanity, and outlandish humor. And Brian Skiba is working with some of the best special FX makeup artists in the business to bring the mutant rabbit Rottentail to life." Based on the trailer, it's a little questionable as to whether or not these truly are the "best" visual effects makeup artists in the business. In any event, this does serve as an addition to a strangely underserved subgenre of horror centered around certain holidays. Though, Hulu's Blumhouse movie series Into the Dark has been trying to amend that situation. 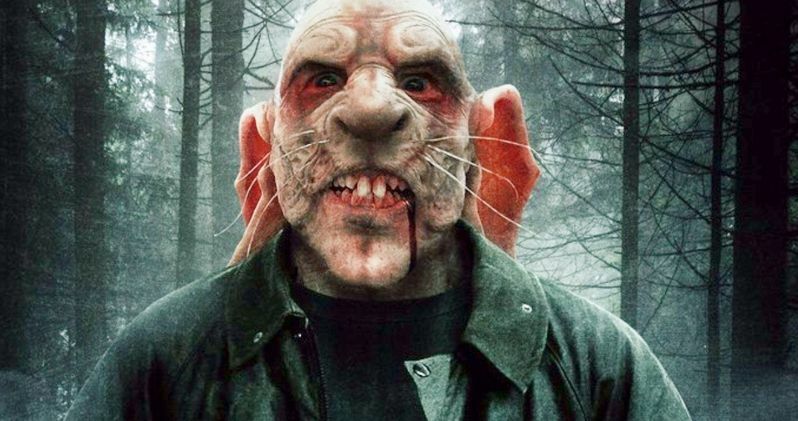 Rottentail arrives on DVD and Blu-ray on April 26. For screening information, head on over to the Ammo Content website. Be sure to check out the trailer below.